Robert H. Jackson (LAW ’61) has spent his working life as a Cleveland-based securities lawyer. But he has also enjoyed a second life as a devotee of books, writing and the arts. He has lectured on the history of the book for the Baker-Nord Center for the Humanities, chaired the center’s advisory board and served on the Visiting Committee for the College of Arts and Sciences. Jackson is the founder of the Fellowship of American Bibliophilic Societies (FABS), an umbrella organization whose members include virtually all of the major bibliophile clubs in the country. 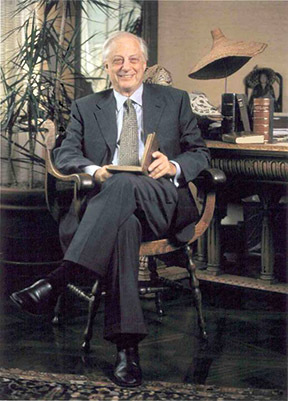 In addition to serving as FABS’ first chairperson, he has been an officer and/or trustee of the Rowfant Club (Cleveland), the Newberry Library (Chicago) and the Association Internationale de Bibliophilie (Paris). Here at CWRU, Jackson is a member of Kelvin Smith Library’s Visiting Committee and the advisory board for the library’s Department of Special Collections and Archives, where he served as a Distinguished Visiting Scholar in 2013-14. Since 2000, Jackson has delivered major addresses as a featured speaker to over 50 organizations on subjects related to the book and book collecting, including an appearance in 2015 at a national conference at CWRU on the future of the book. The highlights of his personal collection include novels by Charles Dickens in their original serialized format, books illustrated by Rockwell Kent and selections from the Limited Editions Club. As a member of the KSL Visiting Committee, and particularly as the first Distinguished Visiting Scholar for the Kelvin Smith Library‘s (KSL) Special Collections and Archives, Bob Jackson provided invaluable advice for setting the strategic goals for the future of our special collections. Bob’s deep expertise and boundless enthusiasm enabled us to chart a course that was both realistic and ambitious. There is a twinkle in Bob’s eye that is unlike any other when he comes upon a great idea. That twinkle was there when Bob became the visionary and the driving force behind KSL organizing a groundbreaking national colloquium in 2014 on the future of special collections. The colloquium also resulted in an expanded publication of the presentations by the American Library Association, a book that has been called essential by multiple reviewers. The colloquium and the book put Case Western Reserve University in the forefront of thinking on this important topic. It is this sort of leadership that has caused me to rely constantly on Bob for his insights. I am incredibly grateful for his endless ideas and support.